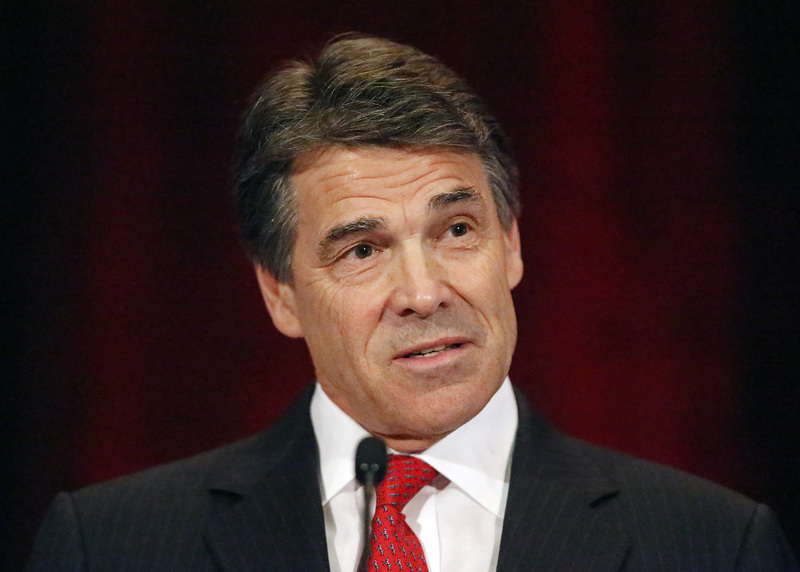 Rick Perry is hell-bent on letting everyone know that he is not at all worried about his current legal woes. And that he looks great even without his trademark stylish glasses! Now, thanks to his Super PAC, you can now immortalize Rick Perry's mugshot and smirk on a T-shirt for only $25. The front features the instantly-famous mugshot, captured last week when Perry turned himself in for two felony accounts of improper use of veto power (and then went to get ice cream). "Wanted" is stamped in bright red at the top of the photo, and just under the mug it details Perry's crime: "For securing the border and defeating democrats." Hm, I could've sworn you were wanted for trying to strong-arm people out of office. On the back is the most unfortunate mugshot of Travis County District Attorney Rosemary Lehmberg, whose drunk driving arrest sparked the whole debacle. And what does the shirt say she is wanted for? "Driving while intoxicated and perversion of justice." So that first one is fair (and true), but if perversion of justice is a crime, I think we've got a list of people about a mile long that should be wanted alongside Lehmberg. So, basically be Rick Perry. Governor Perry hasn't officially announced his imminently disastrous 2016 bid for president, but he didn't give up his longstanding governor's throne to go sit on a ranch somewhere and relax. If you buy this hilarious shirt you'll be fueling the train wreck. Still, there are rumblings that when he decides to run that this indictment, and particularly the flippant (read: patriotic) way that Perry has handled this, could actually help his White House run rather than hurt it. Regardless, it's a funny shirt, and it's nice to see that Perry is embracing his image without his glasses. Now, let's start a Change.org petition and see if we can get him to wear one to trial.